Whether you are working on a needs assessment, evaluating a program or starting a new project, reliable data is important to help make smart choices. Due to the internet, data is available at our fingertips, but the endless options can become overwhelming. Have you ever spent hours sorting through links and data sources to find one specific indicator such as the number of individuals in your community with post-secondary education or the poverty rate for a certain age group? At Transform Consulting Group, we are data nerds and can help point you in the right direction to find the data you need to move your organization forward. We have a cheat sheet of the key organizations and resources that we utilize to help us find the right data for our clients. 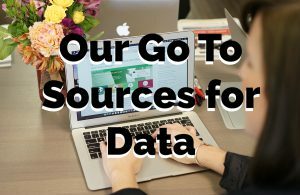 There are a few resources that provide comprehensive data and the majority of information that you need. However, there may be times where you want to go deeper with the data in your understanding. Therefore, you may need to use some additional resources to find the information you are seeking. Child Trends — Child Trends is a national nonprofit research organization focused on improving the lives of children, youth, and their families. Their databank features data by topic, including child maltreatment/welfare, early childhood, families, health, and social and emotional learning. Kids Count Data Center — Kids Count is a project of the Annie E. Casey Foundation and has comprehensive data on child and family well-being. Each state has a designated entity to manage and compile the state Kids Count data, which is the Indiana Youth Institute for Indiana. Individual county profiles are available and updated annually. Office of Head Start — In every state and nearly every county, there is a Head Start and/or Early Head Start program promoting school readiness of young children. Data about the populations served and the program itself can be found through the Program Information Reports (PIR) updated annually. We used the PIR data to complete the Indiana Head Start Needs Assessment Report and Indiana Early Learning Advisory Committee (ELAC) Annual Report and the early childhood county profiles. State Departments of Social Services — Many state departments of social services or human services oversee child care for young children and school-age children. In Indiana, the Family and Social Services Administration (FSSA) Office of Early Childhood and Out-of-School Learning (OECOSL) collect data on early childhood education and out-of-school time programs and would be the resource to identify the number of programs serving young children and/or provide before and after school care for school-age children as well as the cost of care and other important factors. State Departments of Education — Each state department of education has information about individual schools, corporations and their students. In Indiana, the Indiana Department of Education (IDOE) shared this data online via “Compass”, which is a searchable database to access educational attainment, testing scores, and free/reduced lunch rates. Additional information can also be requested. State Departments of Higher Education — Each state department of higher education has information about post-secondary educational attainment for that state. In Indiana, this is the Commission for Higher Education (CHE). They have information on college readiness and completion data and some is even available at the county level via a searchable database. Lumina Foundation — Lumina is committed to increasing the post-secondary attainment of Americans to 60%. They have national, state and metro level data available. Check out the recently released 2017 Stronger Nation Report! We use the Lumina data when working with our college and career readiness and Center for Working Families clients. U.S. Census Bureau — The Census Bureau provides quality data about the people and the economy. It features a few data resource tools, including Quick Facts, the American FactFinder, and the American Community Survey. Information is available at a variety of geographic levels, including national, state, county, city and town, township, region, census tract and more. State Population Resources — Some states have created online resources that summarize the Census data for their state. In Indiana, STATS Indiana is a great resource to find quick profiles and maps on population, housing, education, income and poverty, health and employment. In Central Indiana, SAVI is another great resource with detailed information and profiles. SAVI features tools to analyze and visualize Central Indiana Community Data. These websites tend to be more user-friendly than the Census. Robert Wood Johnson Foundation (RWJ) — RWJ provides annual county health rankings for communities via the County Health Rankings and Roadmap website. State Departments of Health — Each state department of health has access to health specific information. In Indiana, this is the Indiana State Department of Health (ISDH). ISDH recently launched a new website, Stats Explorer, to make it easier to access health data at the state and county level. Here you can find information about the prevalence of drug overdoses, sexually transmitted diseases, births and deaths, cancer, infectious diseases and many other health issues, all in one convenient location. Previously, the data was available through multiple pages on the ISDH website. 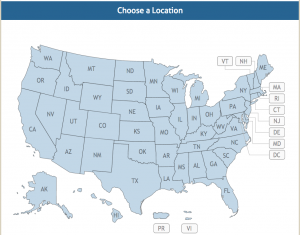 State Departments of Workforce Development — Each state has an agency or office focused on workforce development and will have a variety of information available for the public. In Indiana, the Department of Workforce Development (DWD) features workforce and economic data on a separate website, Hoosiers by the Numbers. Here people can find data by state or county on economics, education, employment/ unemployment, wages, and labor force. There are many more data sources available online as well as via special request. 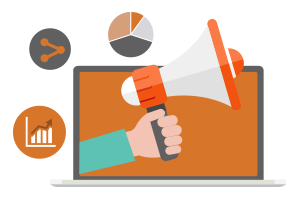 Once you collect the data, don’t forget to make it visually appealing for your audience! Check out our blogs to find some additional tips on using your data. If it is still too overwhelming, give us a call to see how we can help gather the data you need to inform your work. You Finally Have Data! Who Should You Share It With and Why?